If the thought of getting your vehicle stuck in a snow bank or just the task of clearing away the white stuff from the garden path, sends shivers down your spine, then help is at hand with a collapsible snow shovel. 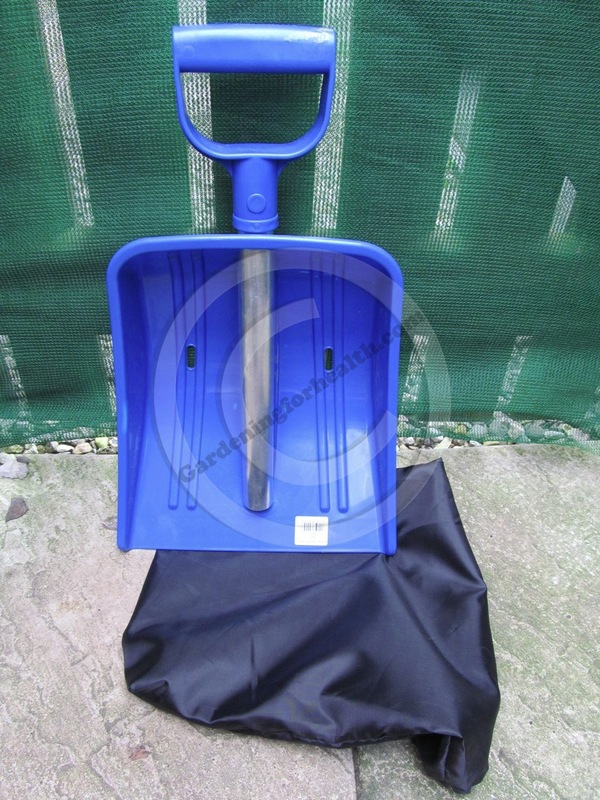 Last winter many areas of the country were covered in thick snow for many weeks, so when we heard about a collapsible snow shovel we were keen to give it a try. As the temperatures dropped at the end of 2011 the equipment arrived, contained in a black drawstring bag. Taking pride of place in the boot of the car it has remained, waiting for the snow to arrive. Typical, no snow to play with and now the challenge of how to do a review. The draw string nylon bag features ‘Velcro’ like material. According to the ‘how to do a review’ instruction manual, the next part of the article should possibly contain a few cliches and the occasional double entendre. The sleek lines of the blade compliment the natural rugged, yet simple, aluminium shaft. We found, in our unscientific tests, that we could whip it out of the bag and get it put together in a little under 10 seconds. Two conveniently located sprung studs help lock the three parts together. As the shovel blade is plastic it should easily glide over the road or path surface without causing any damage. Ideally suited as an emergency car shovel for spreading grit or for digging snow, this product fulfills both form and function. Being compact it is also ideal for keeping under the stairs for use around the house clearing paths. It could also be used for lifting leaves during the autumn. As for the ergonomics, we did find that the product was a little short. This could cause anyone who was taller than average some discomfort if using for more than a few minutes. However, the D grip handle allows most hand sizes to fit comfortably and it does feel sturdy enough. It is not a replacement for a correctly sized solid shovel and as such we would only recommend for light emergency use. We understand that the shovel and bag sells for under £20 and is available from many retailers and online. Thanks to http://www.stewartcompany.co.uk for their help with this article. Extended the collapsable shovel is around 85cm long – from handle to blade.